Whoa! Way before my time. If we only had that now. Nuff said. That was the time for Windows customization. 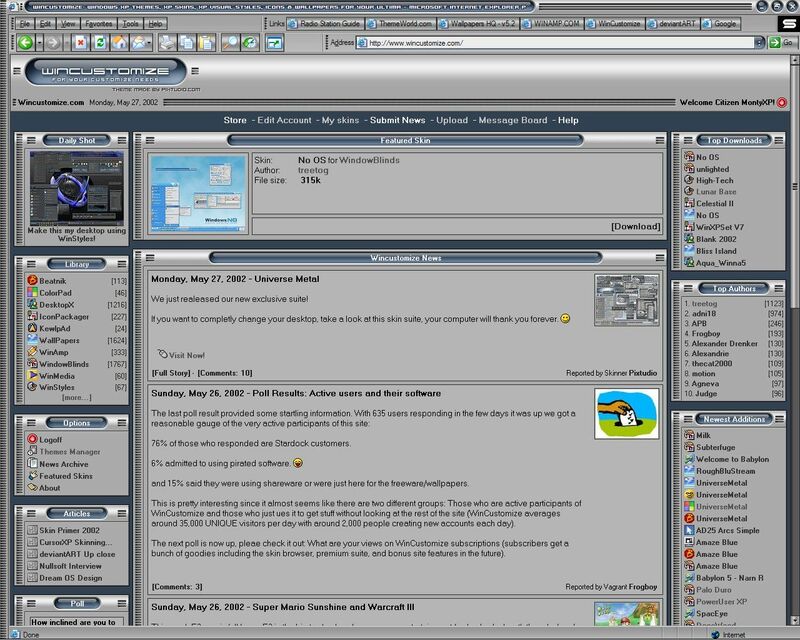 Look at the poll post: back then WC got 35,000 unique visitors per day, with 2,000 new users registering every day. Now most skinning related sites/forums who did not evolve are either dead or dying. AquaSoft, for instance, is a ghost town. Depressing. 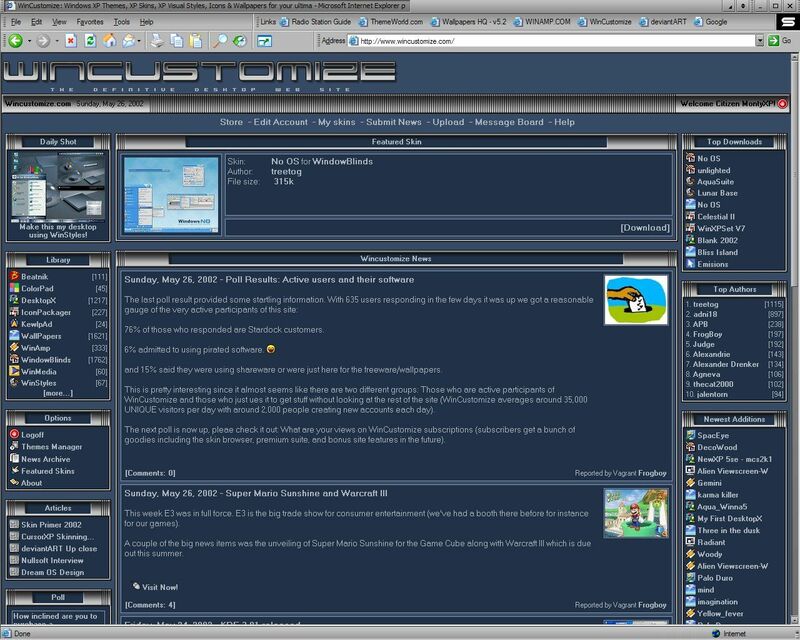 Universe Metal (http://wincustomize.com/explore/premium_themes/13/)...oh the memories. Certainly glad Giz skinned it for Winstep. Things were much better then and so much variety that was truly unique. I was still a greenhorn member with only 1 year under my belt, but I remember it well and cherish those memories. .
Ah the good old days. I still can't believe I've been here for 14 years, don't they give you a gold watch? Al, I can whip up a gold watch gadget! I remember those themes. What great times!!! Lol.. It seems like Wincustomize gui is going backwards. Kind of like another software company we know of. Didn't it used to be red? As well as a Mud theme... Or was I using some of the themes? 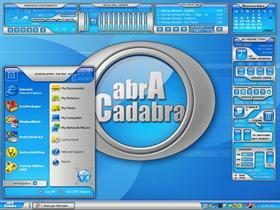 I remember downloading all the Luna themes and then ObjectBar came along. Windows 2000 taskbar would then look like the XP taskbar. Trayserver was a pain. Forgetting some of my system tray. Fun times helping Mr Bargmann track down the nasties. Hehe, given the age of many around here, a blast from the past is looking back on cave paintings or Heiroglyphics-like icons scribbled on papyrus. Shoot, for some, like Doc and Jafo, who are both older than dirt, a blast from the past is revisiting the crawl marks of the first invertebrates to verture out of the oceans onto dry land. Anyhow, for the rest of us, not so ancient members, a blast from the past would be skins from such great artists as IR Braniac; Dangeruss; Tigzz; Pixstudio and the like.